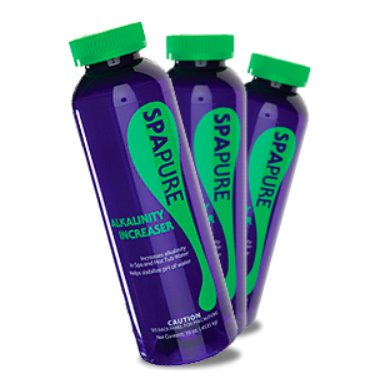 We carry a wide range of hot tub spa chemicals by Spa Marvel, SpaPure, and King Technologies. 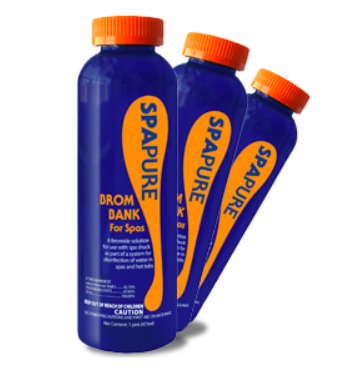 These companies offer a variety of solutions to spa water care. We’re a phone call away if you have any questions. Chemical intolerant: traditional spa treatment causes rashes or coughing. Eco-conscious: people who are looking for an alternative to soaking in traditional spa treatment chemicals. Absentee spa owners: People with summer homes and winter homes, who cannot always tend to daily or weekly spa water maintenance. “Water Treatment Challenged”: They have trouble following the traditional spa-care regimen. 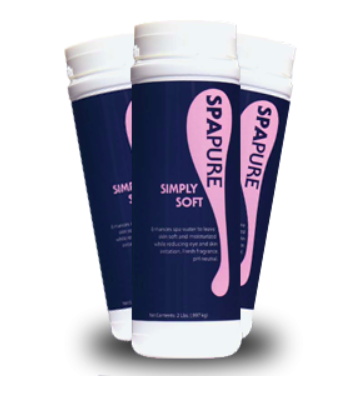 Reduces and eliminates cases of itching, rashes, odors and coughing that are often associated with spa care. Minimizes scale build up from occurring within the spa’s plumbing. 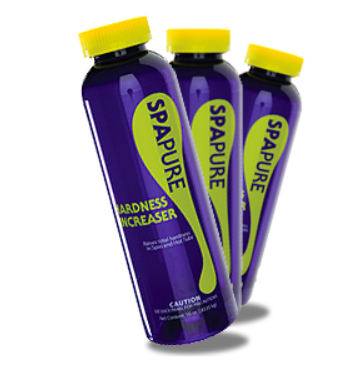 Enhances chemical treatment. 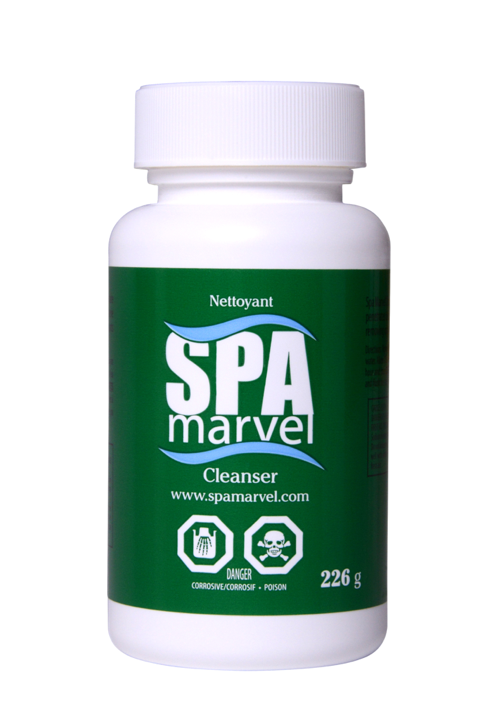 You will use considerably less sanitizer to maintain levels than you would without Spa Marvel, which allows for less chemical wear and tear on lids, jets and equipment and results in increased spa longevity. 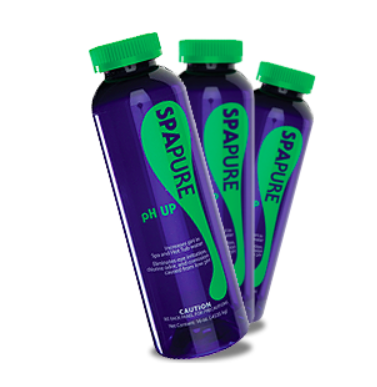 Supports optimal water balance. The ongoing need to adjust pH and alkalinity is greatly decreased and in many cases entirely eliminated. Conditions spa water for sensitive skin. People with eczema and psoriasis love using Spa Marvel as it often improves their condition by alleviating skin irritations. Allows for less frequent water changes. 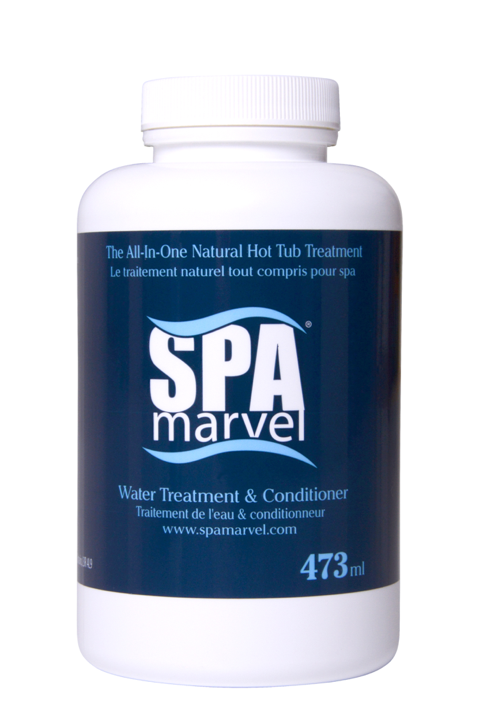 By using less traditional spa water treatment products than one would without Spa Marvel, the Total Dissolved Solids (TDS) of the spa water doesn’t increase as dramatically as it otherwise would, resulting in the ability to go longer between water changes than one would without Spa Marvel. Is gentle to skin and hair. Treats your spa for 3 months with regular use. Water so soft and clean you won’t feel the need to shower after using your spa! 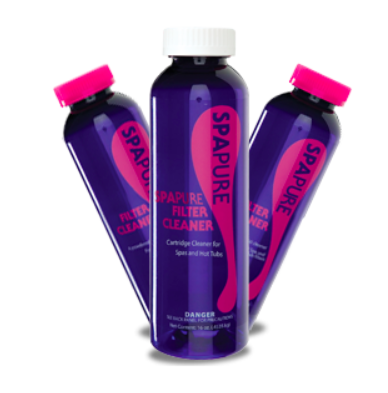 A fast-acting proprietary cleanser that penetrates deep inside of your spa’s plumbing and equipment, caustically removing biofilm, organic, mineral and chemical contaminants. In brand new spas, Spa marvel Cleanser removes residues leftover from the manufacturing process including waxes, oils and resins. An environmentally-friendly, enzyme based spa-water treatment product that can reduce and eliminate the need for many of the chemicals used in traditional spa water treatment. 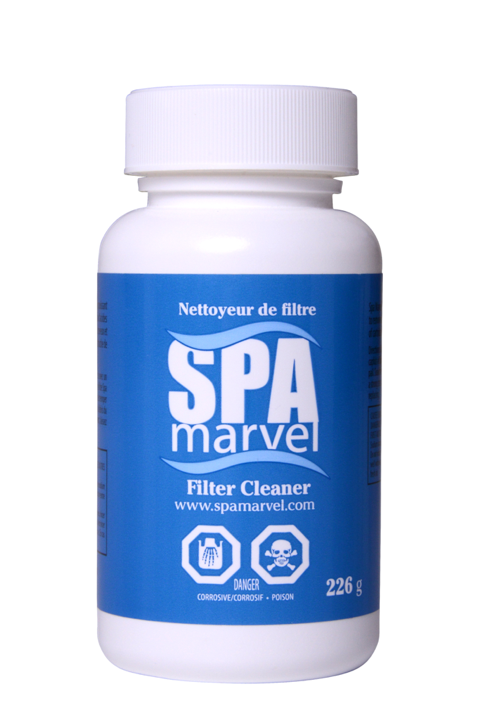 Properly cleaned filters are pivotal to the success of Spa Marvel. Using a filter soak such as Spa Marvel Filter Cleaner is recommended. After soaking the filter, it is critical that the debris is thoroughly removed from the pleats of the filter. 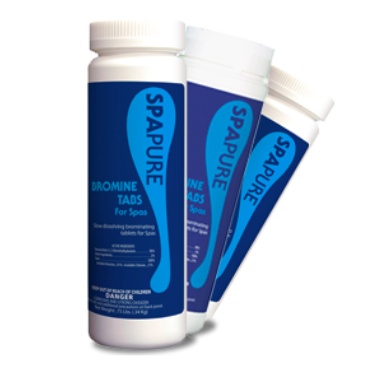 If you are using Bromine Tabs, start here. Your spa’s pH needs to be in the range of 7.2 to 7.6; high pH will make the water uncomfortable and can lead to scale formation. A pH in the ideal range is comfortable for bathers and will help prevent equipment from degrading. Water needs calcium hardness. If your levels are too low, a small addition of Hardness Increaser brings the levels up safely while not clouding the water. When levels are ideal, you will prolong the life of your spa. The water will also be less aggressive and corrosive. Maintain the clean in your spa, while adding no chlorine to it. Over time, spa water can look dull and the chemicals in the water don’t work as well as they should. Spa Oxidizing Shock revitalizes your sanitizer, clears the water, eliminates odors and more. 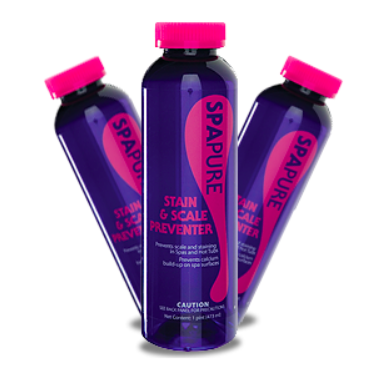 Stain & Scale Preventer softens hard water and prevents staining and discoloration due to metals in the water. Regular use prevents scale from forming on surfaces and sensitive equipment. Foaming is probably going to happen in a spa. Eliminate it. Make your hot water look cool with concentrated Clarifier. Oily, scaly or icky waterlines are cut through with this cleaner. A special blend of cleaning ingredients formulated to tackle the toughest grease and grime. This product can loosen debris so it is easily wiped away. Over time the spa internals accumulate an invisible layer of gunk. This material can eventually lead to cloudy water or other annoying water conditions. System Cleanse lifts the gunk off the plumbing walls so it can be removed once the spa water is drained. With the jet pump running add 1 bottle directly to the water. Works on even large spas! Let circulate for at least 8 hour. Drain, clean surfaces, and refill. Resume normal spa start-up and daily treatment procedures. 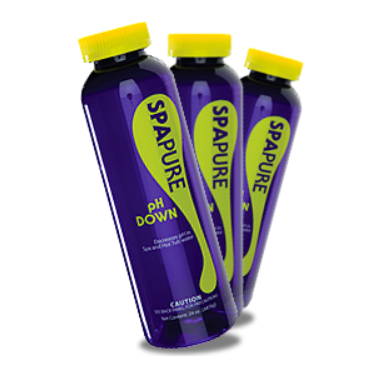 Available in liquid and dry formulations. 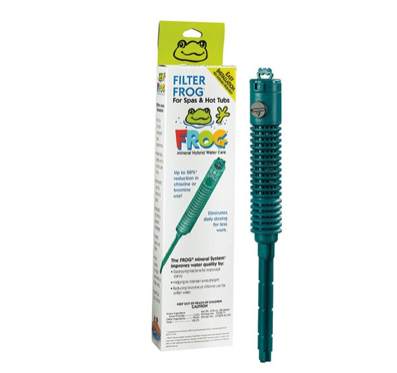 Reduce the usage of chlorine and bromine by up to 50%, stop faded swimsuits and powerful odors with FILTER FROG®. 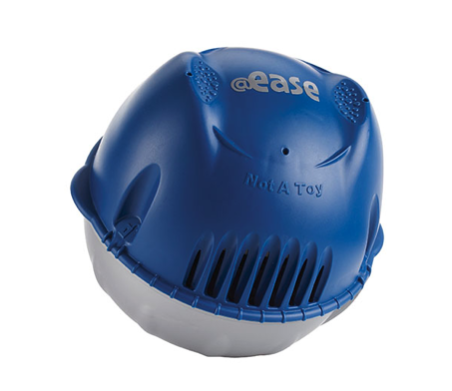 Designed to fit conveniently inside of your spas filter cartridge, this is the only hot tub mineral sanitizer designed with the patented FROG® mineral protection for hot tubs up to 600 gallons, FILTER FROG lasts up to 4 months, and features an easy reminder dial to help you remember when to replace it. 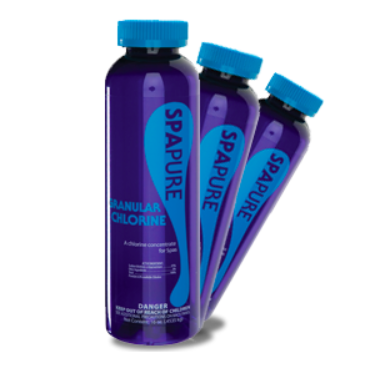 Supplement with a low level of chlorine or bromine and hot tub care is complete with soft water and a crystal clear shine. Introducing the first self-regulating hot tub water care system. In fact, the first breakthrough in hot tub sanitizing systems in 17 years. SmartChlor™ Technology is a patented time-release chlorine system that – combined with Fresh Mineral Water® – keeps your hot tub water crystal clear for weeks at a time using up to 75% less chlorine*! So your hot tub is always ready to use.